1984 was the beginning for both the Mac and Dantz Development, the vendor responsible for the backup program Retrospect. The Mac is obviously still with us, but it might surprise many Mac vets to know that Retrospect is, too. A new version of the software ( ) was recently released by a new company, Retrospect, Inc., that was started specifically to develop and market that software. The story of Apple’s ups and downs over the past couple of decades are well known, but Retrospect’s long and twisted tale is not. 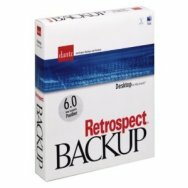 Retrospect wasn't Dantz Development’s first backup product: It had written similar software under contract to other vendors. Back then, the Mac backup software market was fragmented by a multitude of products, including Megacopy (developed by Dantz), DiskFit (ditto), and Fifth Generation System’s Fastback; at the time Retrospect was released, the latter was the leader, with more than 50% of the market. Five years later, however, FastBack was an also-ran with less than 5% of the market. Meanwhile, Retrospect endured. But by 1995, when Retrospect 3.0 was released, Mac sales had started to flatten. The Mac OS was stagnating compared to its competitors, and Apple couldn’t seem to settle on a direction for its operating system. Dantz adapted by expanding into the Windows market. By the time Mac OS X was released in 2001, sales of Retrospect were split evenly between the Mac and Windows products; the Mac version claimed a 90% share of its market. It was such a significant app that many users postponed upgrading to OS X until Retrospect did; in 2002, Retrospect 5.0 filled that bill. In 2004, Dantz was acquired by EMC Corporation. That company was primarily interested in Dantz’s online store and its foothold in the small- to medium-sized business market. Retrospect for the Mac—by then it was up to version 6.0—wasn’t exactly an afterthought for EMC, but it certainly wasn’t the driving force behind the acquisition. Retrospect remained part of EMC’s Insignia brand until that group was shut down in 2007. Development was revived in 2008 when EMC hired back some of its former engineers. That same year, EMC acquired Iomega, which became the combined company’s brand for non-enterprise products. However, Retrospect was not a good fit for Iomega. The latter focused primarily on hardware for consumers, the former on software for businesses. While many Retrospect engineers wanted to focus their energies on updating the Mac product (to achieve parity with the Windows version), Iomega wanted to focus on Windows, particularly after Apple introduced Time Machine. When Retrospect 8 shipped in 2009, it was underdeveloped and customer satisfaction slipped. 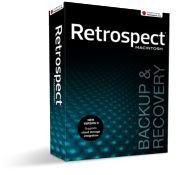 In 2010, Retrospect was sold to yet another new company: Roxio, best known for its audio and video software, thought its existing customers might also be in the market for backup software. But then, at the end of that same year, Rovi acquired Roxio’s parent company, Sonic Solutions. Rovi was interested in Roxio’s movie technology, not backup software. At that point, a few of the people who’d been working on Retrospect approached Rovi management to ask if it intended was to sell off the product; if so, the employees said, they’d be interested in taking it over. Rovi liked the idea of keeping the product with people who cared about it, and Retrospect, Inc. was born. 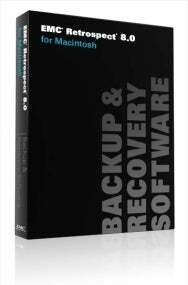 The new 20-person company focuses solely on its backup software. Its veteran employees—who have an average of 10 years experience with the product, and some have worked on it since 1988—cover everything from development to tech support. Powerful, reliable backup for organizations that require more than simple desktop-grade solutions. It takes a system administrator to see the beauty beneath its flawed interface.